AIM Cellsparc 360® is superior to other CoQ10 products on the market. The coenzyme Q10 provides potent antioxidant capabilities, while the tocotrienols and fish oil help to maintain healthy cholesterol and triglyceride levels. The fish oil also serves as a dissolvent for the CoQ10 and tocotrienols. These ingredients work together to ensure adequate energy production at the cellular level and maintain a healthy lipid profile. 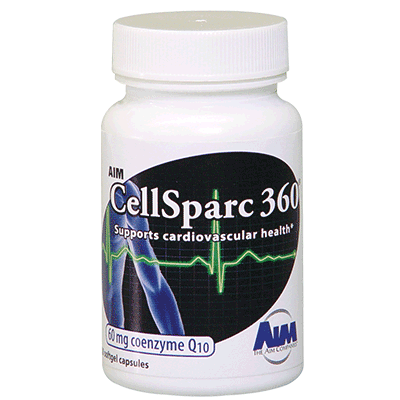 They truly provide a synergistic effect for heart health, and the softgel format of Cellsparc 360 provides increased bioavailability.